What is strange about this place? 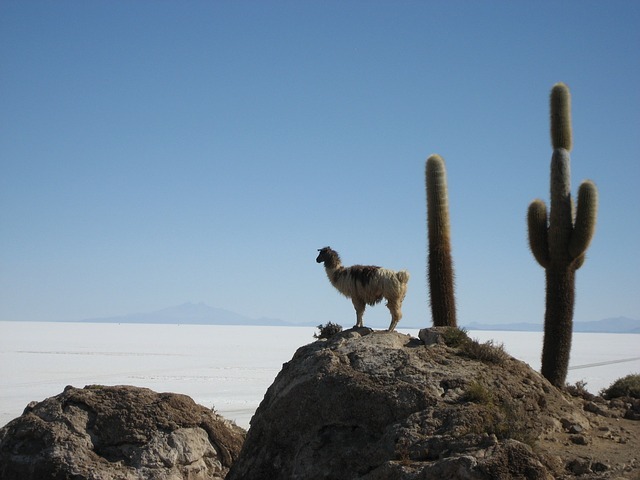 Salar de Uyuni was a prehistoric lake which evaporated long ago, leaving behind the world’s largest desertlike environment consisting of polygonal patterns of salt arising from the ground. The stream of red coloured saltwater oozing our from the Taylor Glacier is a rare sight. The reason for the red colour of the saltwater is due to the high amount of iron content on the water. The strange thing is that vehicles are pulled up the lane without applying any force. There are a lot of theories surrounding this phenomenon. The most sensible one is that the lane is an optical illusion and that the vehicles are actually moving downhill, but it looks like its being pulled uphill. Visit in.lastminute.com for exciting holiday personalized packages. The beautiful sight of white stone and turquoise blue pools with people inside them might not seem that strange. Over millions of years, the mineral water springs here deposited limestone which led to white limestone terraces looking like a frozen waterfall. This is one of the top tourist attractions of Turkey. There were numerous devil’s bridges built in the mideval times. These bridges are so complex that people used to think only the devil could have helped in the construction. This particular bridge in Germany is a marvel. The reflection of the bridge on the water below is always a perfect circle from whatever angle you see it from. The Belize Blue Hole will give people the most breathtaking site for diving on planet Earth. This hole is about 345 deep is literally visible from outer space. The caves are said to be submerged by rising waterers. This place is a heaven for deep sea divers to explore and wander at the stalactiles and stalagmites. The strange thing about this place is that it turns animals in to mummies! Strange right? The alkaline water in Lake Natron has a pH as high as 10.5 and is so caustic it can burn the skin and eyes of animals that aren’t adapted to it. This chemical was used by the Egyptians for mummification. This beach is a carpet of red-coloured seaweed. It grows on 130 square kilometre area, and this patch of land is a part of the world’s largest and best-protected wetlands around Shuangtaizi River mouth, outside of the city of Panjin. Besides the coloured weeds, the wetlands boast 260 species of birds and 400 species of other wildlife.